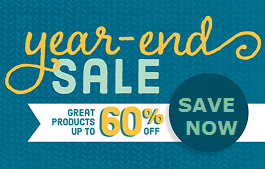 Last chance to save up to 60% off, for year-end sale! Starting to 27th November (Cyber Monday) the 3DLPrinter-HD 2.0+ 3D printer has a discount up to 60%, if you buy it directly from the manufacturer! The 3DLPrinter-HD 2.0+ complete of all accessories is now available for €6.000,00, meanwhile the 3DLPrinter-HD 2.0+, 3D printer without accessories, is now available for €4.800,00. Supporting structure in steel powder coated, prismatic guides with double ball bearing and Z axis with ball screw, ensure precision and rigidity to the system. This machine is built to last! The 3DLPrinter-HD 2.0+ has been recognized for its reliability and high quality prints, and it’s offering an accomplish aid to each of the customers (more than one hundred) at which the system was supplied. Robot Factory offers a turnkey system consisting of: printer, accessories (including UV oven and ultrasonic device), software and resin. The printers are supplied with management and printing Software. The customer service is performed, as well as through the careful documentation supplied with the printer, also through extensive and detailed documentation for the end user education on various topics (periodical technical notes), tied to the optimal use of the printer. It is also possible, take advantage of initial training (free if it will be done in our headquarters in Italy) for the use of the 3DLPrinter-HD 2.0+. 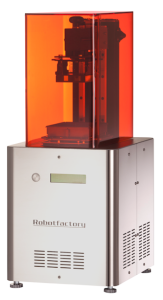 3DLPrinter-HD 2.0+ is available for immediate delivery.